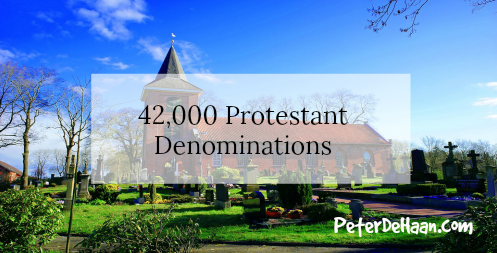 Christianity Today recently reported that there are 42,000 Protestant denominations. That is shocking. However, given that in the United States we have a consumerism mentality, this development is hardly surprising. Consumerism says that if you don’t like the church you are at, you keep shopping until you find one. If you can’t find one that fits, you start your own. However, 42,000 Protestant denominations are not what Jesus had in mind at all. His intent was one—and that includes the other streams of Christianity, too. Why can’t we just be one in Jesus and forget about our denominations, our disagreements, and our doctrines? Consumerism and individuality is not the goal, unity is.